We've all seen Just1 Helmets on Blake Baggett, but Savagty is going nearly head to toe with the lesser known European brand. Not that it's completely unheard of, but a top level factory rider choosing to ride for a smaller European motocross gear brand is certainly not the norm. 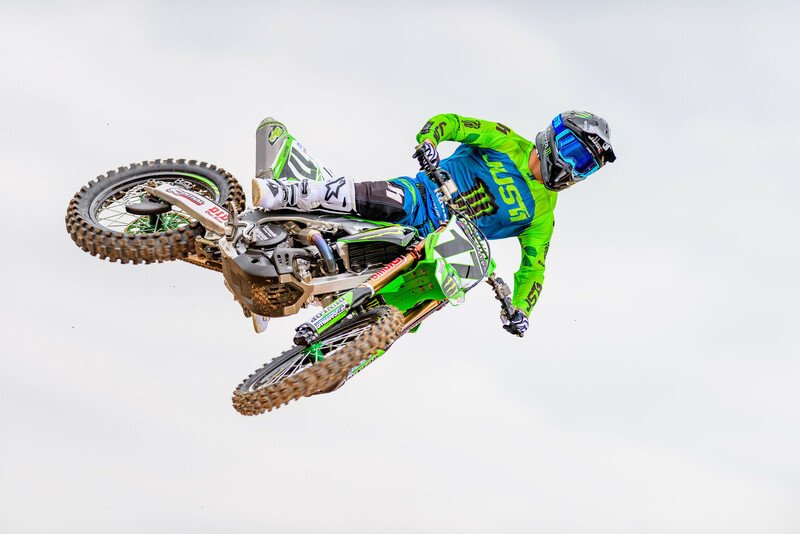 At least for the 2019 season, Joey Savatgy, who recently joined the 450 class and Monster Energy Kawasaki will wear Just1 helmets, goggles, jerseys, pants, and gloves. Even more interesting than going with a slightly outside gear brand, choosing to wear one company for all those gear items is also big deal. Typically, each of those items would have their own contract. We also know that, when it comes down to it, racing is still a business and a lot of decisions like these boil down to how much money is being thrown around. We have absolutely no idea what kind of monetary sums are involved, we are just saying that if Just1 has the budget and really wants to get their brand on the biggest stage in dirt bike racing, this is one way to do it. We don't want to sound negative, we are just pointing out that if the offer is too good to refuse, then it makes sense for a racer to take it. On one side of the coin, it is cool to see more companies support US Supercross and Motocross. We say US because it looks like Just1 has been a player in the MXGP and EnduroGP championships lately. On the other side, one could argue that the motocross gear market in the US is pretty crowded as it is and, as riders, do we really need one more option? We aren't taking sides, just playing devil's advocate a little bit. 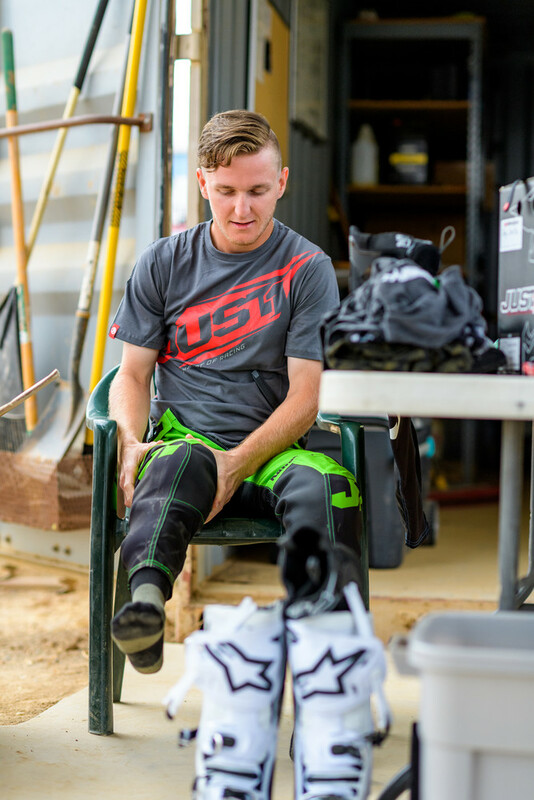 We are excited to welcome Joey Savatgy to the JUST1 family! 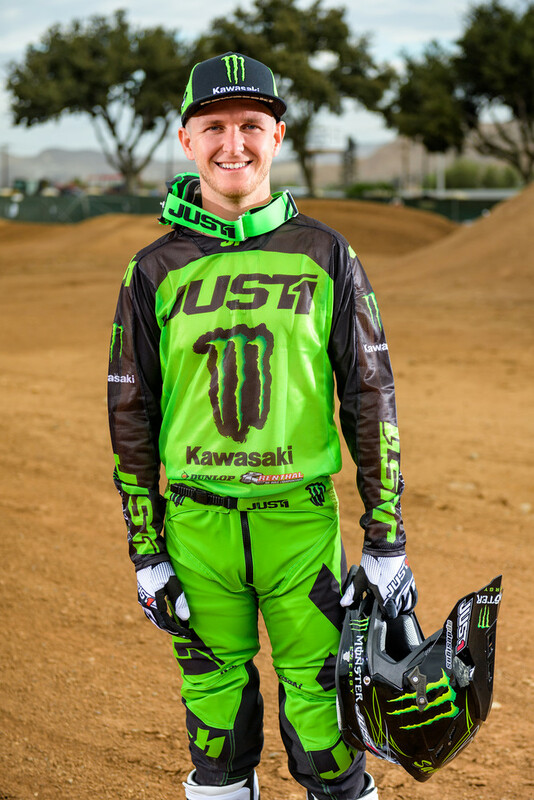 2019 will be his first year in 450 class and he will be race the AMA Monster Energy Supercross and AMA Lucas Oil Pro Motocross Championships, for the Monster Energy Kawasaki Team. Savatgy will make his debut beginning at the Monster Energy Cup in October 13. 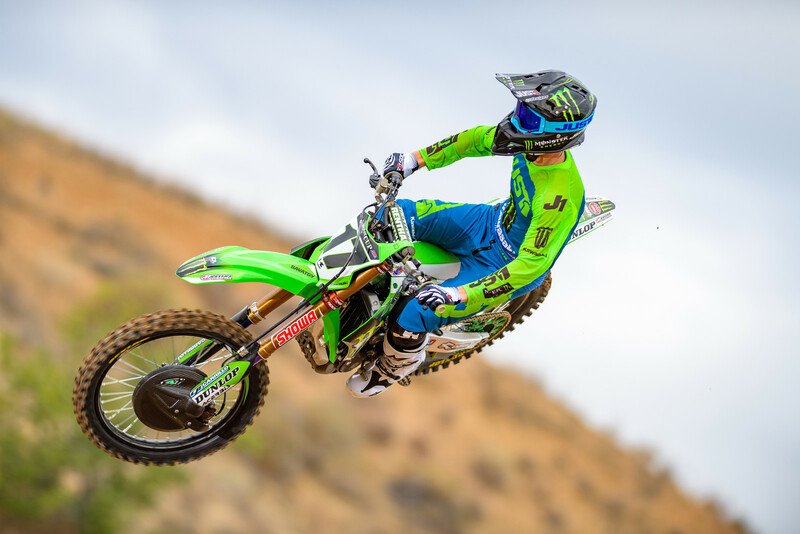 He will join two-time 450 Pro Motocross Champion Eli Tomac on the team. Savatgy turned pro in 2013 and spent two years with KTM before moving to Monster Energy Pro Circuit Kawasaki in 2015. He came up one point short of Cooper Webb in the 2016 250SX West title chase, and then came this close to winning the 2017 250 SX East Region title, but lost it on the final lap when Zach Osborne made an aggressive pass with a few corners to go. In spite of everything, a lot of dedication, talent and hard work brought Joey where he is now and proves that he has what it takes to be a top contender... the winning mentality that fits perfectly with ours. Savatgy will join a loaded 450 rookie class in 2019 and we are stocked to support him with our products and offer him the best performing and quality equipment possible. Killer set up Joey! Give er' hell and stay healthy all season and you'll be in a good place. Ya, it would be great to see him in top 5, definitely has the potential & his riding style is super smooth & consistent. Remove the green outline on the numbers and you have yourself a fire setup. They should JUST call it J1 on everything. Pants could use a little work but their helmets are the best for taking roost. I would know..
Typo in second paragraph, last sentence. "...then it makes since for a racer to take it"
SINCE we are making friendly grammar corrections! Typo in second paragragh, second sentence. "We have absolutely know idea of any sort of monetary sums..."
Fixed. Thanks Maverick. Sometimes I type faster than I think, or is it the other way around?